Capix provides a range of silver recovery equipment systems to meet your operations specific requirements and budget. More importantly we provide you with the ongoing maintenance, desilvering and refining service, giving you total piece of mind environmentally, ensuring compliance and maximising your return on silver revenue. 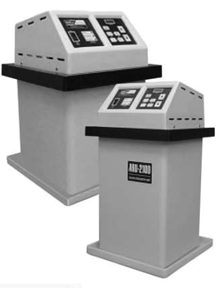 The Metafix ARU series of electrolytic silver recovery systems are designed to meet the environmental needs of NDT, medical x-ray, graphic arts and black and white photo facilities. Featuring state of the art digital microprocessor controls, digital display and keypad for easy calibration and information storage. 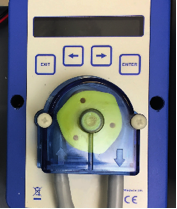 These models automatically control and optimise plating current as the silver concentration varies in the fixer solution. 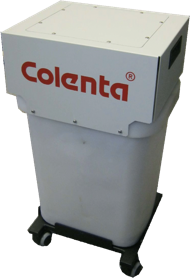 The Colenta SilverFit 40 uses up to date technology incorporating microprocessor based algorithms for high efficiency electrolytic silver recovery. By using with a Colenta processor, the Colenta SilverFit 40 allows the possibility of an online interface connection whereby the values such as replenishment rates, number of replenish cycles, process monitoring and error code management are under continuous supervision. The IS-199 White Mountain chemical mixers incorporate a unique combination of features providing an economical and efficient chemical mixing and replenisher storage system. 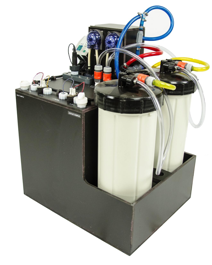 The Specific Gravity Mixing System allows the user to start a mix at anytime. The mixer responds to the addition of concentrated chemicals and adds the correct amount of water automatically. All Electronic Components have been chosen for dependability. The Low Level Warning System indicates that solution level is 2.0 gallons or less. 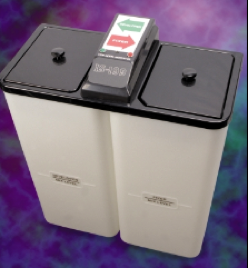 The warning system resets automatically when the user begins a 5 or 10 gallon mix. processor wash tanks to effectively control the growth of algae, thus reducing processor downtime and wash tank maintenance. 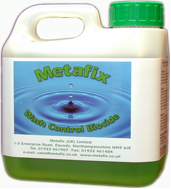 Wall mounted in a safety case, the Metafix biocide changeover is quick and simple. The Tecnolab Isolation Mixing Console is an innovative space saving combined replenisher mixer and replenisher storage system. Mixing is isolated from replenisher storage and then transferred when mixed. 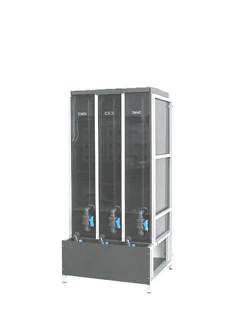 Capix will discuss with you about your individual installation requirements. We can tailor an installation to meet your specific needs; providing solutions like ventilation systems, pump transfer systems, floor trays and Aquastop water leak detector/isolators. Capix provide a range of silver recovery systems, chemical mixing and algae control equipment. The Metafix Processor Monitoring and Effluent Control System (MBX) has been developed as a completely new solution to automatically monitor your processors chemical balance and usage whilst maximising silver yield. With quality assurance in NDT being of paramount importance, the correct processing of X-Ray film is an important link in the chain which can now be monitored. By doing so, the customer can be alerted if their processor is being under or over replenished. The system also tracks the volume of the overflow. This helps to accurately track the amount of films processed and chemistry used, a very useful audit trail. With this information we can precisely determine the life of our patented silvery recovery columns. This avoids any compliance issue and enables us to correctly predict and maximize silver recovered. The MBX system recovers silver from the combined developer and fixer discharge, (a proven Metafix patented process) by controlled pumping of the solution through Metawool cartridges that efficiently trap silver.